Tawney B creates a balloon octopus menorah for Hanukkah! Tawney spent a couple of weeks during the holidays kicking around New York, and working some swanky gigs. During Hanukkah she and her good friend Todd were commissioned to create a unique menorah to celebrate the occasion. But two of them came up with the awesome idea of making this Balloon octopus menorah. Everyone at Dr. Ruiz office loved this unique creation and it brought smiles to all of the visitors. Dr. Ruby frequently invites Todd of the twisted building company to decorate her office for special occasions. Hanukkah seemed like a great time to make something really special, that all the kids and their parents would enjoy. Each of the candles had an LED light in it, so they actually lit up! 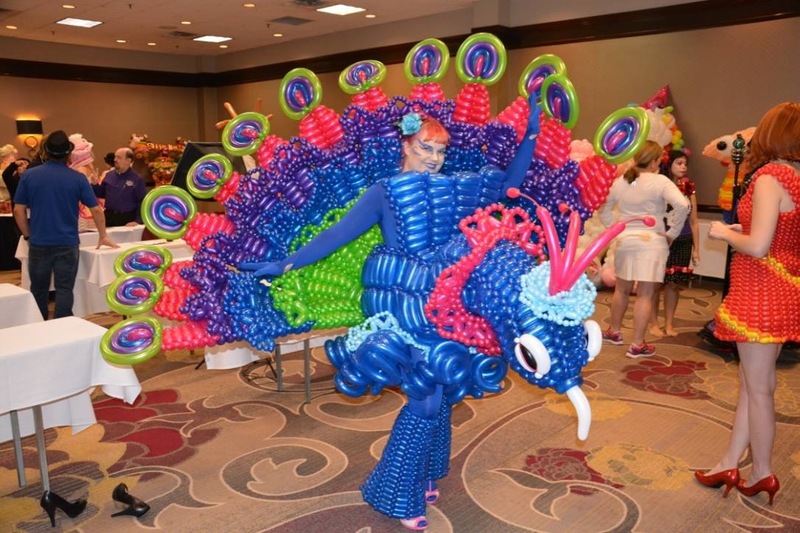 Creating this wedding balloon dress was such an enjoyable project for me. Chuck Lane and Julie Trygar, the amazing bride and groom who threw this Riviera Maya wedding, were fantastic to work with! 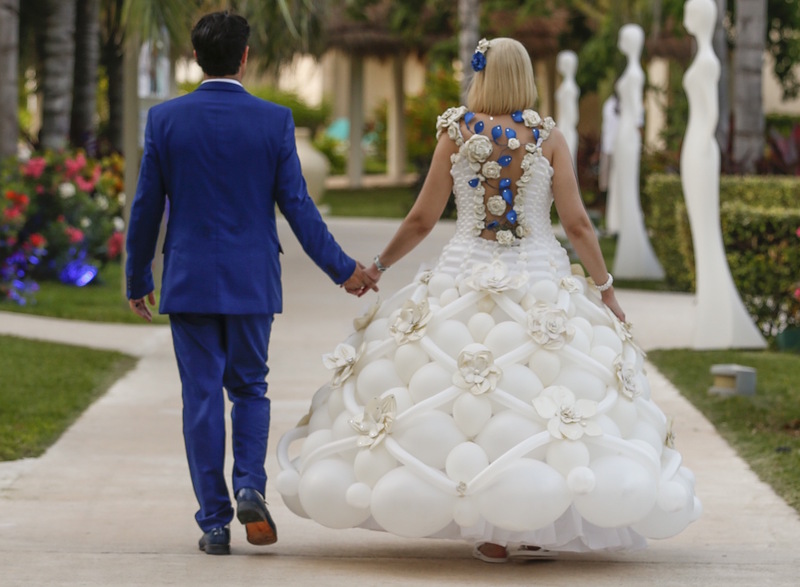 It was such a treat to collaborate with Julie in designing her dream wedding balloon dress. Julie knew she wanted a truly unique wedding dress, and it was so much fun making it happen for her.